Home / Columnists/ Liberal democracy is dead. Long live liberal democracy. Liberal democracy is dead. Long live liberal democracy. 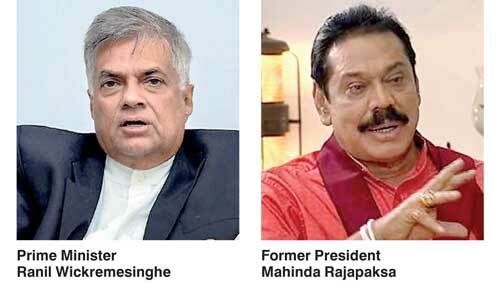 Liberal democracy as propounded and practiced by the UNP is dead. Beating up the statistics of the recent local election will not bring it back, but the UNP still remains the best vehicle for reviving liberal democratic ideals. Pohottuwa or the Sri Lanka Podu Jana Peramuna (SLPP), led by former President Mahinda Rajapaksa, which received 44% of the vote at the recent local elections, is the antithesis of a liberal democracy. The 32% received in the recent local election by UNP is no small change, and represents a block of voters which should be the basis of a revival. The challenge is to convince more voters that the brew of jingoism, protectionism and statism of the MR ideology may seem comforting now but will come to a boil at some point and perish us all. Two attributes are necessary for a revival of liberal democracy ideals and its only viable vehicle, the UNP, I believe. They are authenticity and humility. Liberal democratic values are in retreat across the world, led by developments in the USA. Rich countries can experiment and make a comeback, but we cannot. The combination of protectionism, racism and statism is lethal for struggling economies. MR is capable of saying something and doing another, juggle this and that, and yet show progress, but the UNP has failed miserably trying to emulate MR.
Medical education is a case in point. MR’s government supported SAITM, the institute offering private medical education, without a hum from the left and vested statist interests represented by the Government Medical Officers Association or GMOA. The UNP came to power and thought it can do the same, but ended up bending over backwards to appease the Opposition, and slid down a slippery slope towards total caving-in, as the writer pointed out recently. Not only that, the Government is set to open two more faculties of medicine in Wayamba and Sabaragamuwa Universities, without addressing quality issues of existing faculties of medicine in state universities. There is an urgent need for a coherent human resource policy for the medical sector to ensure that the country gets the benefits of the money it spends on training medical personnel. Current inequitable practice of funding a select few at 100%, leaving others with nothing, has to be addressed. A place to start is to recover money from those who gain at the expense of the public purse and do not contribute their share of public service, service to rural communities, in particular. The Haritha University in Homagama, a private non-profit established by the Government, is an innovation of the last MR government and it thrives under the radar. UNP should take the concept further to support students pursuing private education. UNP introduced a voucher system, but the support is currently limited to those studying for local degrees. Quality of local degrees will not improve without some challenge from outside. The voucher system should be extended and virtues of such communicated to the public. School education is a front where UNP is on target. UNP should be credited for bringing the issue of the talent pool we waste by the dropout rate of nearly 50% by or before Year 11. Successive governments have focused on those who get past the GCE (O/L) hurdle and move on to Years 12 and 13 in school. The 13-years of education policy of the UNP puts the focus where it is due, but it is doubtful whether the program will have much to show come December, 2019, when a presidential election is likely. Urgency in implementation is needed. On the cultural front too, the UNP has to move away from imitating MR and establish its own approach. Recently, while lamenting the breakdown of values in society, the speaker quoted non-existent research about the Sinhalese race being one of the top three endangered races in the world. Inciting the crowds with fake information is MR territory. UNP should not be going there. The UNP should have the leaders with the courage and the standing to tell the Sinhalese that our greatest threat is our own backwardness and publicise the progress made by the party already in that regard. Finally, UNP has to sit down with the President with his acceptance speech on 9 January where he promised to be the symbol of national unity, in effect leaving the rest to the UNP. It is not too late for the President to correct his ways and salvage his place in history while allowing the UNP to deliver on its campaign promises of August, 2015. Be humble. People are not stupid. UNP has so far acted as a one-man think tank and has failed miserably in the think front. The UNP Leader thought he could split the Opposition and win but, instead, he lost 12% of its own voter base. Constitutional reforms abolishing the Presidency are a long shot now and a presidential election in 2019 highly likely. Twice the party hid behind a common candidate but a third act would not be acceptable. It is time to look beyond the comfort zone of old feudal ties of the present leadership and listen to those who have not had a voice so far in the party. The next presidential candidate should emerge out of such an authentic soul search. It could be the present leadership or it may not. Such a soul searching should begin with an exploration of why people welcome tyrannical, authoritarian leaders time after time? For millennia, philosophers and political theorists have tried to explain why people submit to authoritarian leaders. In his essay titled “How tyrants work up a crowd’s devotion”, David Livingstone Smith offers several insights relevant to us. In one such insight, he points out that we all need to believe in something larger than ourselves. Religion and/or patriotism easily fit the bill, and the MR-camp has hit the jackpot claiming to protect Sinhala Buddhist identity. The symbols and the terminology of the MR-camp fit well with mainstream Sinhala Buddhist identity while UNP has none such. Talk of Wi-Fi will not do. The party needs an ideology. The UNP hit the right note when they put an identifiable label on liberal democratic ideals by invoking Lichchavi democracy of the Buddha’s time. But the Lichchavi democracy idea could not move too far in the context of the Bond scam and the leaders’ defence of the scammers. It is time for longsuffering supporters of the UNP to build the party from the bottom, with or without help from the top. The aftermath of the local elections provides a way. UNPers lost in almost all of the ward-level first-past-the-post contests, but the good news is that the party is now organised at the ward level as never before. Party committees at the ward level should work to pull the 24% who did not vote SLPP or UNP. If SLPP’s brew of jingoism, protectionism and statism did not appeal to this group they will have a sympathetic ear to liberal democratic messages of internationalism, virtues of openness, respect for individual rights, and rejection of oppression by the State. Hitting the right note is the challenge, and a new generation who can is needed.